Geary Henderson Larrick earned the opportunity to play the vibraharp as a soloist at the Columbus Art Gallery in Ohio. STEVENS POINT, WI, January 15, 2019 — Marquis Who's Who, the world's premier publisher of biographical profiles, is proud to present Geary Henderson Larrick, DMA, with the Albert Nelson Marquis Lifetime Achievement Award. An accomplished listee, Dr. Larrick celebrates many years' experience in his professional network, and has been noted for achievements, leadership qualities, and the credentials and successes he has accrued in his field. As in all Marquis Who's Who biographical volumes, individuals profiled are selected on the basis of current reference value. Factors such as position, noteworthy accomplishments, visibility, and prominence in a field are all taken into account during the selection process. Dr. Larrick is a musician and retired assistant professor of music who taught at the University of Wisconsin-Stevens Point for 16 years until 1985. A longtime composer, once he retired from academia, he founded Geary and Lydia Publications in Stevens Point, WI. Prior to accepting his first appointment at the University of Wisconsin-Stevens Point, he taught at Muskingum University, and Cambridge City Schools. Beginning his career in 1959 as an usher at the State Theater in Cambridge, OH, Dr. Larrick then spent several years as a percussionist for the Baltimore Symphony Orchestra, the Rochester Philharmonic, the American Wind Symphony Orchestra, the Columbus Symphony Orchestra and the Central Wisconsin Symphony Orchestra. For eight years, Dr. Larrick also led the Geary Larrick Quartet in Stevens Point between 1972 and 1980, and for six years, was a video recorder for Community Access TV, also in Stevens Point, between 1991 and 1997. Dr. Larrick lent his expertise as a writer for many years as well. He wrote for Edwin Mellen Press from 1990 to 2007, Peter Lang Publications in New York City from 1989 to 1997, and the National Association of College Wind and Percussion Instructors Journal from 1968 to 2018. He has authored 10 books, 22 musical article guides, 62 RILM abstracts, 110 music indexes and 157 WorldCat entries. Some of his books include “Musical References” in 1990, “Biographical Essays” in 1992 and “A Percussionist's Guide to Music: Bibliographic Essays” in 2002. 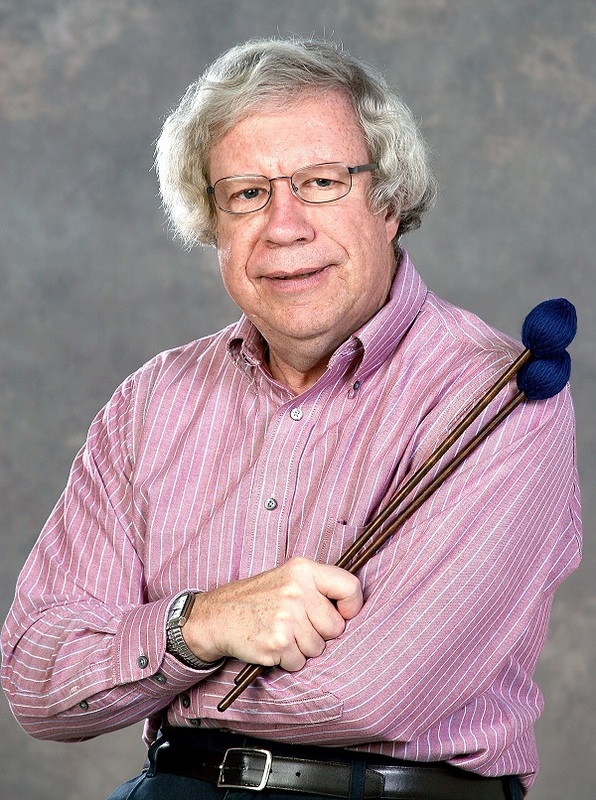 A past president of the Wisconsin Percussive Arts Society and former chairman of the Men's Fellowship Group, Dr. Larrick is also a longtime member of the Percussive Arts Society, the National Association of College Wind and Percussion Instructors, the National Association for Music Education, and several honor societies. Locally, he has served on the board of directors of the Stevens Point Symphony Orchestra, the scholarship committee and search committee at the University of Wisconsin, and the administrative board of St. Paul's United Methodist Church in Stevens Point. Introduced to music when he was very young, Dr. Larrick's parents encouraged him by giving him instrumental toys to play with at home. By the time he was 5 years old, he was playing the piano. When he was 7 years old, he had learned to play the marimba. Going off to college, Dr. Larrick studied music, earning a Bachelor of Science from Ohio State University in 1965, followed by a Master of Music from the Eastman School of Music in 1970 and a Doctor of Musical Arts from the University of Colorado in 1984. Enjoying many wonderful memories during his tenure in music, one of the highlights for Dr. Larrick was when he earned the opportunity to play the vibraharp as a soloist at the Columbus Art Gallery in Ohio. He has notably been cited in the third edition of Who's Who in Entertainment and the 25th and 26th editions of Who's Who in the Midwest for his contributions to the field. Enjoying his free time in retirement with his longtime wife Lydia, Dr. Larrick stays active by walking. He also loves to read, write and watch his favorite sports. He is the proud father of one child and grandfather of one grandchild. In recognition of outstanding contributions to his profession and the Marquis Who's Who community, Geary Henderson Larrick, DMA, has been featured on the Albert Nelson Marquis Lifetime Achievement website. Please visit www.ltachievers.com for more information about this honor.